Where the Río Grande and the Río Conchos join, rests a remote oasis in a mountainous desert wilderness of awesome austerity. There the cities of Ojinaga, Chihuahua and the town of Presidio, Texas form the cultural and economic centers of La Junta de los Ríos. As is well-documented in the film The Devil’s Swing (Documentary Arts Inc. of Dallas, Tx. 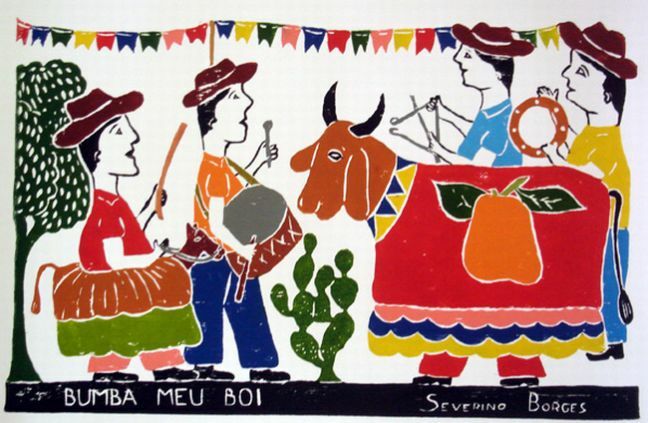 ), this isolation has helped to preserve not only many customs, traditional rituals, and beliefs but also a ballad tradition of uniquely local focus and origin, a sampling of which can be heard on this CD. Although a few of these corridos (narrative ballads) are also seen in the film, this CD is a complimentary audio document and not the usual “soundtrack.” The corridos were recorded mainly on location and memorialize themes such as 19th century cattle drives, border conflicts between Anglos and Mexicans, heroes of the Mexican Revolution, hardships endured by day laborers, and of course the recent tragedies which have resulted from trafficking. Smuggling back and forth across the Mexican-US border used to involve wax, cloth, liquor, guns and ammunition but since the end of prohibition in the early 1930s, the focus has been almost exclusively on drugs declared illegal in the United States. To the local population, which sees Anglo society as rich, insatiable consumers of all kinds of drugs, these traffickers often become Robin Hood like heroes. 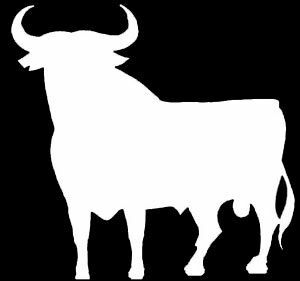 The devil has mounted a swing between the mountains above La Junta de los Rios from which he can affect everything. Where the Rio Concho collides with the Rio Grande, the resulting flood plain defines an area of the border where traditional divisions between God and the devil, between bandit and hero, between the United States and Mexico, no longer apply. The seemingly unrelated worlds of sacred rituals, drug lords and the memories of Pancho Villa combine with the words, songs, prayers, and chants of the people who live in this remarkable place and are indelible in the minds of those who have moved away. 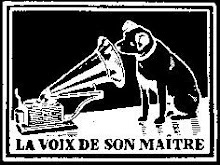 “When oral tradition quickly slipped away in the 20th century, the art of ballad writing seemed to go with it. Luckily, in isolated spots like La Junta de los Ríos, corridos, or narrative ballads, have continued to thrive. These ballads preserve Texas-Mexican border culture dating from the mid-nineteenth century to the present, documenting everything from cattle drives to modern day drug lords. Vibrant accordion and bright singing enlivens much of The Devil’s Swing. Los Palomares De Ojinaga enlists vivid harmony in Corrido De Kiansas to tell the story of a dangerous cattle drive in Kansas, while Los Palomares Del Bravo recalls the legendary Puncho Villa in, La Tumba De Villa. Many songs, like Los Jilgueros Del Arroyo s bloody ballad, La Muerte De Fermín Arévalos, document the illegal trafficking of drugs and assassinations of rival drug lords. The music of these story songs is often happy and danceable, despite the grim subject matter. 01. Shobaman shenman (Eastern Georgian monastery school). 02. Dideba maghalta shina (Eastern Georgian monastery school). 03. Kovlisa dabadebulisa (Gelati monastery school, Imereti). 04. Jvarsa shensa (Gelati monastery school, Imereti). 05. Sashod mtiebisa (Gelati monastery school, Imereti). 06. Ghmerti uphali (Gelati monastery school, Imereti). 07. Tsina saukuneta (Eastern Georgian monastery school). 08. Kvertkhi ieses dzirisagan (Shemokmedi monastery school, Guria). 09. Meupheo zecatao (Gelati monastery school, Imereti). 10. Adide sulo chemo (Gelati monastery school, Imereti). 11. Saidumlo utsxo (Gelati monastery school, Imereti). 12. Ats ganuteve (Eastern Georgian monastery school). 13. Katolike eklesiisa (Gelati monastery school, Imereti). 14. Ghmerto, mokheden (Gelati monastery school, Imereti). 15. Akurtkhevs suli chemi (Gelati monastery school, Imereti). 16. Ikharebdit martalni (Gelati monastery school, Imereti). 17. 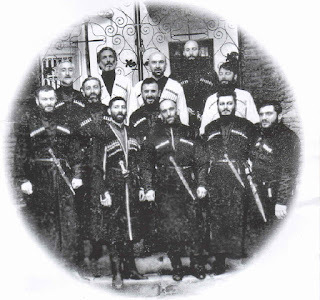 Razhams Iordanes (Gelati monastery school, Imereti). 18. Ver shemdzlebel vart (Gelati monastery school, Imereti). 19. Tkveta ganmatavisuphlebelo (Shemokmedi monastery school, Guria). 20. Natelo mkhiarulo (Gelati monastery school, Imereti). 21. Sakvirveleba (Gelati monastery school, Imereti). 22. Ghirs ars (Gelati monastery school, Imereti). 23. Netar ars katsi (Gelati monastery school, Imereti). 24. Mkholod-shobili (Gelati monastery school, Imereti). 25. Dghes saghmrtoman madlman (Gelati monastery school, Imereti). 26. Kurtkheul khar shen (Gelati monastery school, Imereti). 27. Shoba sheni (Shemokmedi monastery school, Guria). 28. Ukhrtsnelsa khatsa shensa (Gelati monastery school, Imereti). 29. Alilo (Imeretian Christmas song). 30. Alilo (Imeretian Christmas song). This landmark recording is the first of its kind: a document of the ancient sacred songs of the Republic of Georgia. 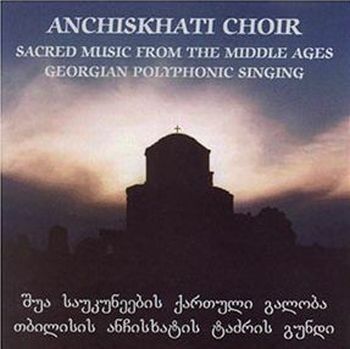 The haunting polyphony of this ancient music is still sung all over Georgia, from the smallest village to the ancient Anchiskhati Church in Tbilisi. A shared love of Georgian folk song brought a group of Conservatoire students together in 1987. Their aim was to study Georgian traditional song, both well-known and lesser known examples. 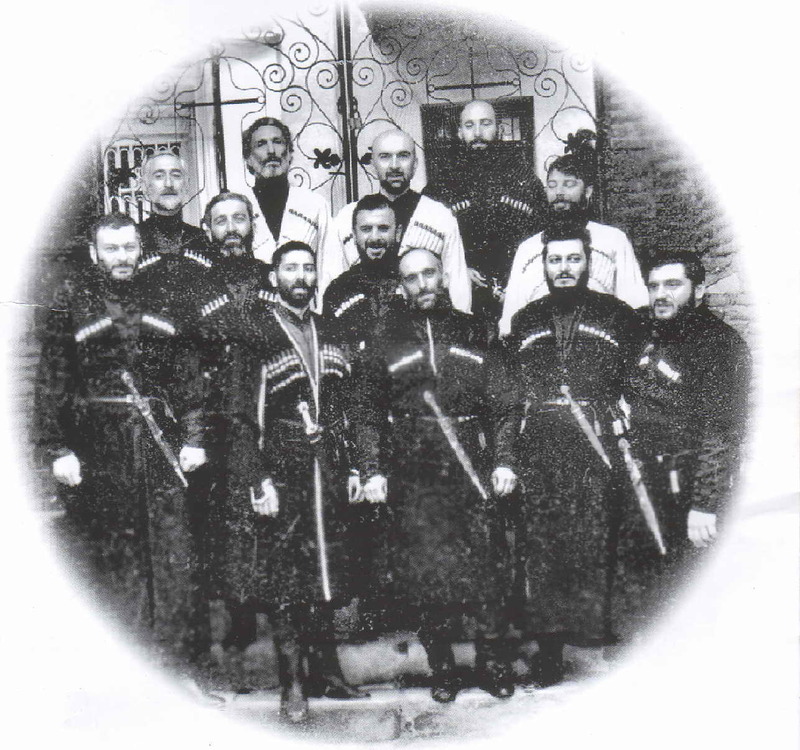 Malkhaz Erkvanidze, Davit Zatiashvili, Guram Gagoshidze, Rezo Kiknadze, Davit Shughliashvili are the first five members of the choir; some time later, three other members joined the group. Zaal Tsereteli (mathematician and programmer by education), Temur Imnadze and Alexandre Khakhishvili – Conservatoire students. A very important priority for the young singers was to select their repertoire from recordings of old folk singers, where they could find a number of examples, not performed by any contemporary folk groups. A large place in the repertoire of the choir was occupied by songs of renowned folk singer Benia Mikadze (from the village of Kulashi, Samtredia District) and his choir "Sanavardo", as Malkhaz Erkvanidze, "Anchiskhati’s" young leader and Benia Mikadze shared the same village roots. Alongside learning songs, an interest in learning old, forgotten traditional polyphonic church hymns soon emerged. This became possible thanks to several collections of transcriptions of Georgian chants published at the end of the 19th century and preserved at the Georgian Folk Music Department of Tbilisi State Conservatoire. From these very collections, the group of students (yet to give themselves a name,) started to learn Easter chants. Very soon they were given the opportunity to chant in services at the church. The choir went to Betania Monastery on April 10, 1988 to chant the Easter liturgy. Despite their début, there was an amazing atmosphere at the church. Everybody was enchanted by the tunes glorifying God, so strange to their ears, but so close to their hearts, memory traces of which had been left by the ancestors. That Easter day can be marked as the return of Georgian traditional church chanting to Georgian liturgy. A week later Patriarch Ilia II of Georgia, invited the young choir to his place of residence. The first chant that was chanted for their esteemed host was Kriste Aghsdga from the Shemokmedi School of chant. At this point in time, Pentecost was approaching. For this holiday the blessing and opening of Anchiskhati - the oldest church in Tbilisi was planned. At this very meeting it was decided that the young choir be appointed as the Anchiskhati church choir. From that day on, the choir acquired the name "Anchiskhati Church Choir". The revival and renaissance of Georgian church chant, neglected over several generations due to Soviet atheistic censorship, started with the study of thousands of chant transcriptions at the initiative of the young Anchiskhati Church Choir; this initiative was supported both by the Head of the Georgian Church and by the clergy of the newly opened Anchiskhati church, which greatly contributed to the success of this initiative. Very soon the choir and what is more important the old, half remembered, Georgian chant gained love and popularity among the parishioners. This in turn led to the appearance of many followers of the choir on the one hand and new members seeking to join the choir on the other hand. Among these were young people of various professions who greatly admired chanting, such as Vasil Tsetskhladze (musician), Mamuka Kiknadze (architect), Grigol Bulia (a student of theological Seminary). Georgian traditional chant began to spread its tendrils all over Georgia. This process was also greatly supported by visits of the choir to different parts of the country. By that time Anchiskhati church choir had already published its first record entitled "Aghdgomasa Shensa" (1991) which included Easter chants from various schools. Anchiskhati Church Choir started a new stage of its activity after it was joined by a group of friends: Gocha Giorgadze (iconographer), Davit Megrelidze (architect), Levan Veshapidze (ethnomusicologist), Gocha Balavadze (artist), Nikoloz Beriashvili (geographer). This initiative of Malkhaz Erkvanidze - the choir leader was driven by the wish to perfectly present Georgian folk song repertoire and its diversity. This expanded choir of 12 singers, was then able to revive and learn a number of Georgian folk music examples, such as "Naduri" a variant of the village Dutskhuni , "Khasanbegura" a variant of the Khukhunaishvilis, together with a number of city songs, such as "Gvimgheria", "Gazapkhuli", etc. When learning a folk song the choir focuses first and foremost, on the manner of the traditional performance and on the authenticity of scale and intonation of the original song. . This very factor distinguishes Anchiskhati Church Choir from the performance styles of other choirs. It should be mentioned that from this standpoint the choir already had a good example in the form of ensemble "Mtiebi" directed by Edisher Garaqanidze, the first to introduce and instill authentic village manner of performance on stage. This undoubtedly was a big stimulus for the choir. At the same time it can be said, that Anchiskhati played an influential role in the creation of new ensembles and, helped forge their performance manner. In 1993 the choir went on its first concert tour outside Georgia - in Greece. This was a truly memorable tour for "Anchiskhati". They held several concerts and took part in New Year’s liturgy at the Cathedral Church in Athens. From this beginning, regular concerts tours to various countries took place: Germany, Austria, France, Poland, Great Britain, the USA, Canada, Italy, Switzerland, Russia, Armenia, Latvia, Sweden and Lichtenstein. The choir’s performance always inspired audiences. Thanks to "Anchiskhati" and other Georgian folk groups many foreigners were given the opportunity both to sense and appreciate the beauty and depth of Georgian songs and chants. "Anchiskhati’s" first CD was published by a Canadian Company ”Deep Down Productions”. Anchiskhati‘s solo CD collection now exceeds a dozen. Separate mention should be made of collections of transcriptions, published by Anchiskhati singers and edited by Malkhaz Erkvanidze, who published a 5 volume collection including hundreds of chants. Now these collections form a basic instruction manual for beginners and professional chanters and chanting choirs. A collection of chants of the Shemokmedi School, published by Davit Shughliashvili is another manual for chanting, which occupies a distinguished place. Dozens of Gurian folk songs have been transcribed by Levan Veshapidze, thus creating an excellent source book for both Georgians and foreigners who love songs of this part of Western Georgia. Georgian choral polyphony is unique within world music. It consists of three main styles - chanting, singing and humming. In church chanting, three separate melodies are brought together within a modal harmonic structure, a tradition that was current in the seventh century AD, three hundred years before polyphony developed in other parts of Europe. 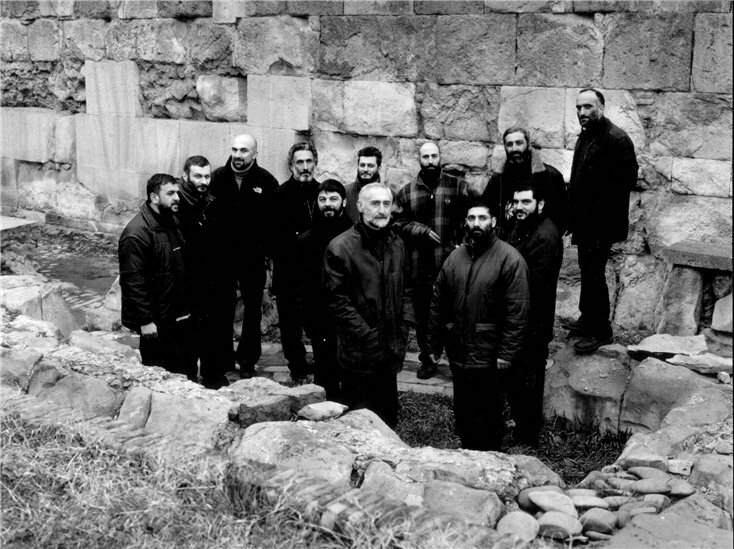 The seven-member ensemble, Dzveli Kiloeb (Old Modes), has been developed within the Anchiskhati Choir to research and perform this ancient music. The roots of church chanting lay in the secular music that pre-dates Christianity and survives today in the folk music of the Georgian regions. The songs and dance music relate to the circumstances of village life - the weddings, funerals, lullabies, harvest and hunting songs - and contain vocal techniques, such as Krimanchuli (a kind of yodelling), unique to Georgia. The Anchiskhati Choir researched and now perform the songs; and are expert players of the rare Georgian folk instruments. In friezes from the walls of ancient pagan buildings we see depicted singers with musical instruments of various kinds, entertaining royal audiences or singing in a group. From these it is evident that music had a place in the earliest civilization of Armenia. 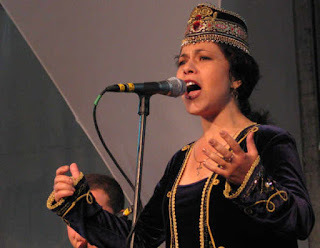 Of course, Armenia, like the countries that surrounded her in pagan times, had her strolling minstrels and troubadours, who used musical instruments and their own melodies to accompany the stories they told. 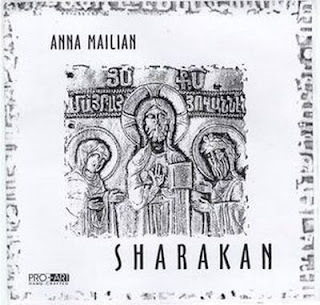 From these, no doubt, developed the folk music of the Armenians, which has been described as "lively and distinctly peculiar to the Armenian people, although showing sometimes foreign influences, either Persian or Turkish." "Christianity introduced a new kind of poetry, namely Church hymns and chants. These were called, in Armenian, sharkans. They were not only written in meter, but were composed with a view to being sung. The word sharakan means "row of gems" Historians of the Middle Ages say that the sharakans were written mainly by the "translators," i.e. by the writers of the fourth and fifth centuries. As a matter of fact, very few sharakans were written after the thirteenth century. Since then, no prayers or hymns have been introduced into the Armenian Church. It is said by writers of the Middle Ages that St. Sahag arranged the sharakans for ten voices and St. Stephanos for twenty-six voices, corresponding to created things - elements, plants, birds, and animals. There were also women sharakan writers. One of these was Sahakadukht, who lived in the eight century. She not only wrote, but also composed music, and taught singing. Out of modesty, she used to hide behind a curtain, whence she gave instruction to both sexes. Singing was considered a great art in Armenia, and musicians were called "philosophers" Several such "philosophers" were canonized and had the word "philosopher" prefixed to their names… When Catholicos Petros Getarardz went to Constantinople, he took with him a company of musicians, whom he presented, as a gift, for the service of the Byzantine court." By the end of the fifth century, the musical canons were set. But it was not until the ninth century that a system of notation, called the Khaz system, was used. In liturgical music books today, the marks used for this system are still included, but their meanings have not been deciphered because while they indicated the pitch, rhythm, and nuance, which the singer was supposed to use, they assumed that he already knew the basic melody. Today at the Armenian Academy of Sciences in Yerevan, musicologists are attempting to decipher this system with the aid of computers. Under the influence of Nerses the Grace-filled, the Armenian hymnary was expanded in the twelfth century, for besides his poetic abilities he had much musical talent, and wrote some of the most beautiful liturgical music to be found in the church. It is said that when, as Catholicos, he was distressed to hear his guards singing Turkish ditties, he composed some of his music to give them something better to sing. In any case, his music is beautiful. One example is Norasdeghdzyal a hymn sung in three parts during the morning service, which speaks of the newly-created life God has offered us and conveys, by the purity of its melody, a sense of the new beginning that the Resurrection, the "morning" of the Church, brings to us. Nerses was the greatest Armenian liturgical composer to come for many centuries, but closer to our own time stands another great figure. Komitas Vartabed. This sensitive young man received some of his early training under Makar Ekmalian, whose compositions of the Divine Liturgy are sung in many Armenian churches today. Later, he received further instruction in Berlin, and began writing some of the more than three thousand songs and compositions which are attributed to him. He took hundreds of old folk songs, arranging them in the way they were meant to be sung, with a pure national flavor. His work attracted the attention of many Europeans; "Debussy's opinion, in which he called Komitas a great composer on the basis of only one of his songs ("Homeless"), is well-known." Komitas' greatest achievement is his arrangement of parts of the Divine Liturgy, which he wrote down and restored to their original style. The beauty of the Komitas Liturgy, performed today in churches throughout the world is matchless. After he died in Paris his remains were moved to Armenia to be buried there with other beloved artists. Through the work of Komitas, many people in Europe were for the first time exposed to Armenian music in its original form, unchanged by the influence of the Turkish and other Eastern, but foreign influences which had imposed themselves on the culture of the country. Armenian folk music was arranged symphonically for the first time by Spendiarian, early in the twentieth century. His symphonic piece, Yerevanina sketches, was based on popular folk melodies, including one written by the eighteenth-century bard, Sayat Nova. With this work, and with others like it, Spendiarian became the greatest influence on Armenian symphonic music. Spendiarian also took a poem by a classic Armenian writer, Hovhannes Toumanian, and based on it the opera Almast, which depicts the Armenians trying to defend their homeland. This lovely piece, which also contains many of the folk melodies, which Spendarian grew to love, has been performed in Moscow, Tbilisi, Odessa, Tashkent, and other places in the Soviet Union. In 1933, the Yerevan opera house which was later to be named after Spendiarian had its grand opening with a performance of Almast. The operas of Armen Tigranian, whose Anush is not only beautiful but exacts incredible vocal feats from its singers; the ballets and symphonies of Aram Khachaturian; the haunting quality of Alan Hovhaness' music - all are based on the music which the Armenian church and people handed down to their children. It is impossible to perceive Armenia without Sharakans. Wherever you are in the wild nature of Armenian land, Sharakans seems to fill the forgotten colours of the canvas called "Armenia". They astonish us with their variety of colour and image, with the unity of man and nature, with the harmonic and marvellous explication of spirit and flesh.